Imagine a prayer meeting where drug addicts get set free, the fatherless find a family, and the hungry are fed. Imagine a prayer meeting where anyone is accepted, and people from all walks of life can come to spend time with Jesus and find community. 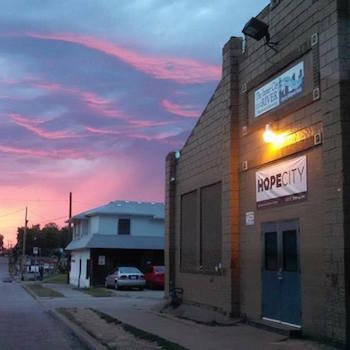 Located in one of Kansas City’s toughest neighborhoods, Hope City is involved in rescuing addicts, providing a safe place for rehabilitation, running a walk-in soup kitchen and food distribution project to the neighborhood, providing showers and laundry services for the homeless, and keeping a prayer room 24 hours a day, five days a week. At Hope City, people who may not be welcomed into your average local church are brought in with open arms and raised up to become powerful intercessors. They are encouraged to use their gifts in our spiritual community where they find a place to belong. Here, the Holy Spirit gives beauty for ashes, joy for mourning, and a garment of praise for a spirit of heaviness every day right before our eyes. In January, we transitioned to serving in the inner city at Hope City under the IHOPKC. Every week, Jonathan leads worship while Theresa serves as a prayer leader. 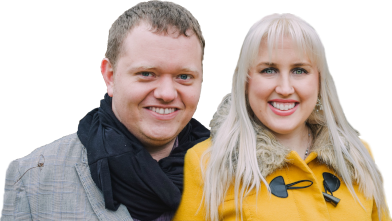 In addition, we find ourselves regularly pastoring young adults. God has opened such amazing doors for us! We are so thankful to be a part of all He is doing.